The football season in Sweden continues. The fans and betters are waiting for some important clashes in playoff mode. So on November 08 Mjallby meets Orgryte in the first leg of Superettan-Relegation. Who will be stronger in the duel between two clubs representing the different leagues? It is hard to imagine but Mjallby was a member of the superior Swedish football society just three years ago. It played against the outstanding local teams such Malmo, Goteborg and AIK. 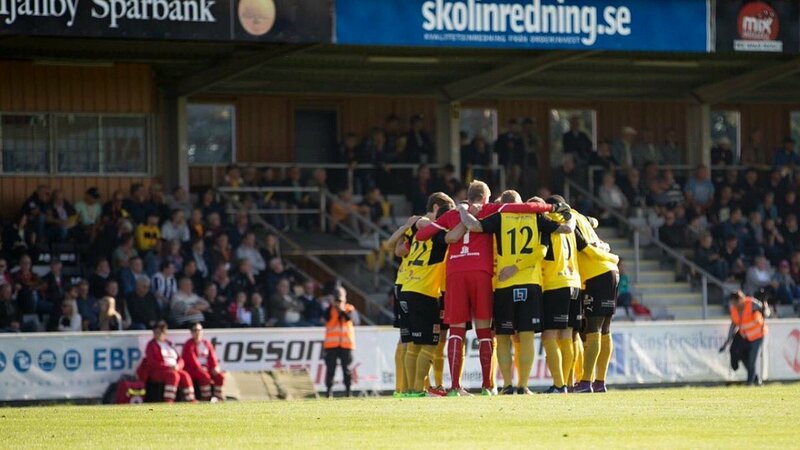 In autumn of 2014 the “yellow&blacks” finished on the 15-th position and were redirected to Superettan. Here Mjallby entered to the pool of outsiders and lose in two-legged ties to the runner-up from the Division1. By the way, that rival was Orgryte. Mjallbye possessed the 8-th position in its first season and became the runner-up on the second attempt. Orgryte is the oldest active Swedish football club. It was founded in 1887 and also experienced in Allsvenskan (major national league). The team left this eight years ago. Spending one year in Superettan the team was relegated to the Division1 (third level of national football hierarchy) due to the fact of bankruptcy. The Society (Orgryte’s nickname) worked as a shuttle between these leagues within six years until an actual 13-th position. Mjallby is unbeaten from the middle of September. Its successful series include five wins and two draws. Orgryte lose two consecutive matches with a total score 1:5. The guests have the following away record: win, six draws and eight losses. In the last six away games Orgryte scored five goals. Getting average 0,83 GPG. The last H2H took places two years ago. Orgryte have won 1:0 at home and lose with the same score at away. Another goal in extra time allowed it to be promoted to Superettan. Orgryte has a quite successful recent record at away. The fresh losses to Varnamo and Helsingborg are justified. These clubs are the 6-th and 7-th in the final table, respectively. So for the first leg of relegation clash we predict the visitors’ win an Asian handicap (0). Here you will find the FOOTBALL prediction for the match of Mjallby & Orgryte of the Superettan, Sweden. The prediction is prepared by our analytical team and is based on the latest news of the Superettan, Mjallby and Orgryte stats and lineups, insider news and our team’s expert analysis. We publish our free betting tips and FOOTBALL predictions to help you win more. You can use the information from this Mjallby - Orgryte match preview for your own purposes. The odds are valid at the moment of publication.